A good portion of your day is spent commuting back and forth in your car. 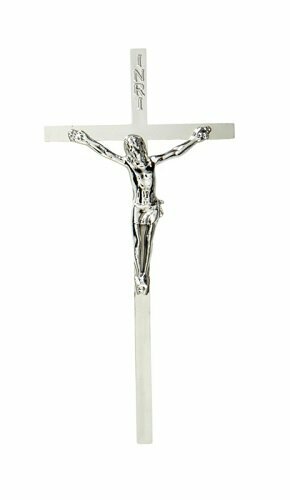 Celebrate your faith with our Crucifix Auto Emblem which serves as a gentle reminder that faith travels with us and offers protection for you and your passengers. Crafted of high quality plastic to last many years of use. Comes with a self-adhesive backing and can easily stick to any smooth and clean surface.